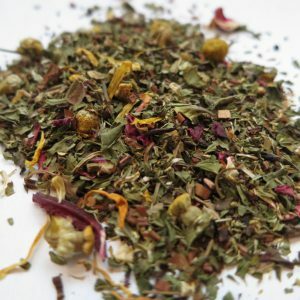 Ayurvedic Keep Well “Women-Uma” – Banff Tea Co. 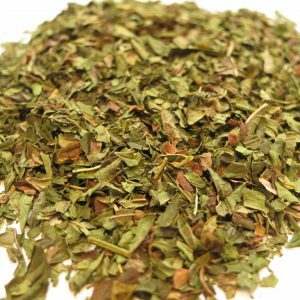 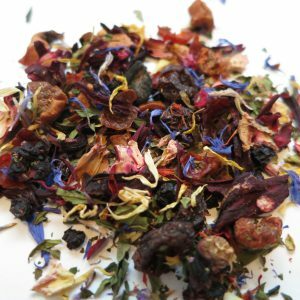 This tea is blended for hormonal control, stress relief but also has a very pleasing sweetish taste and aroma. Great for helping with Menopausal hot flashes! 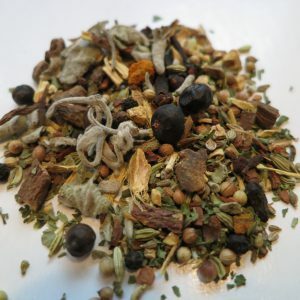 Ingredients: Cinnamon, apple pieces, rooibos, ginger pieces, raspberry leaves, fennel seed, chamomile, cardamom, lady’s mantel, cloves, orange peel, St. John’s wort, black peppercorns, juniper berries, silver weed, natural flavours. 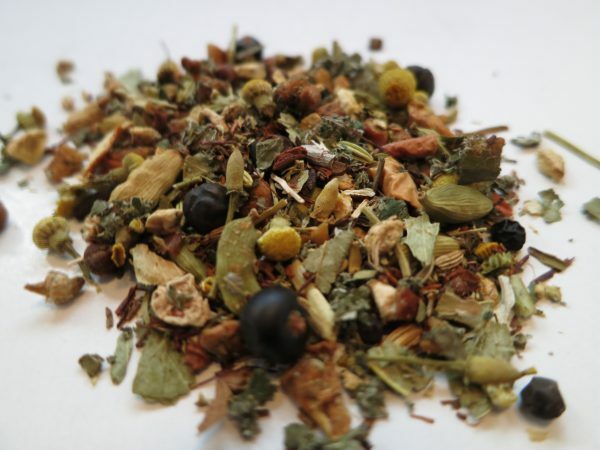 Steeping Suggestions: 1 teaspoon of tea (3g) per 6oz cup of water, 100°C (212°F) for 3-8 minutes.